4 March / Within the framework of Good Service Month, the Tartu City Government is looking for the best bus driver in the City of Tartu. The goal of the competition, which is being organised for the second year, is to recognise good bus drivers who perform their duties in an exemplary fashion. 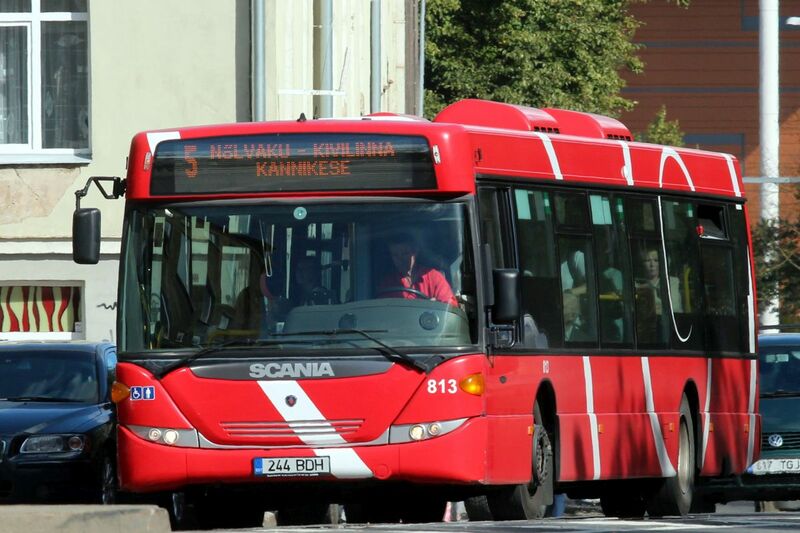 According to Kairi Kuusik, Quality Manager for Public Transportation within the Tartu City Government, a good bus driver is always helpful and customer friendly. ‘They are attentive and careful in traffic, notice fellow road users, and travel on the bus they are driving is smooth and safe’, added Kuusik. Good bus drivers can be recognised for their professionalism or benevolence until 31 March 2019. Feedback can be left on the Tartu homepage. When submitting a proposal, you will need to provide a brief description of your experience, including the date, time, bus number and direction of travel (towards or away from the City Centre). Stickers placed inside of busses and at bus stop shelters will also provide information on the campaign. The Tartu City Government will review all received compliments and will pass them on, along with its own recognition, to the driver that has earned the most attention. Further information: Kairi Kuusik, Quality Manager for Public Transportation within the City Finance Department, 736-1199, kairi.kuusik@raad.tartu.ee.